Northerly By Night soundwalk with Anthony Janas. “Prairie In the Lake” reveals the world of unheard sounds just below the surface of our everyday lives. Using simple technologies for listening the aquatic world of fish, amphibians, and insects reveals an information rich sound environment. 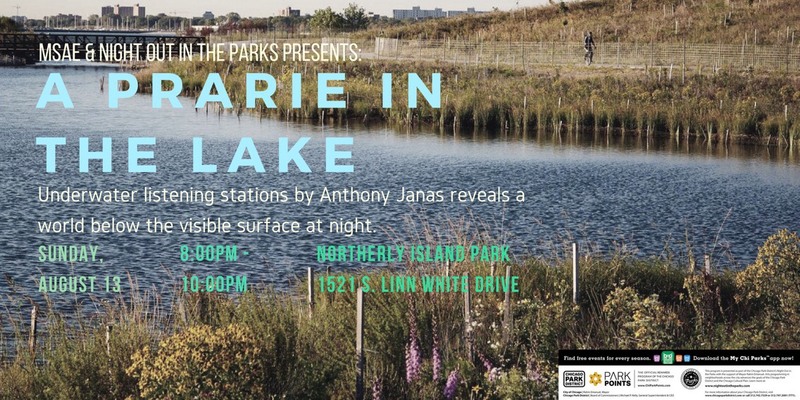 Listening stations at Northerly Island will give you a chance to eavesdrop on the underwater sounds of Lake Michigan. Hear the waves crashing against the breakwalls, the propellers of boats entering the harbor, and other sounds from just below the surface. You will also have the opportunity to record what you hear to share with friends and family.